A removal refers to a situation where one parent needs to move out of state and wants to take a minor child with him or her. 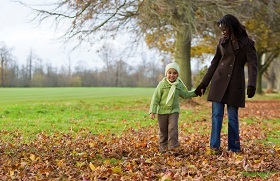 Typically, a parent may seek to move the child out of state due to a job change, new marriage, or other valid reason. Removal cases can be very difficult and are usually vigorously contested. For this reason, you will want to work with a Lowell removal attorney. Child’s Consent. If the minor child is old enough to give consent, a Lowell removal attorney can explain to you that the parent seeking removal will typically need the approval of the child. Parents’ Consent. If the minor child is not old enough to give consent, both parents usually need to consent to the removal. This can be difficult to obtain in a bitter divorce or custody hearing. Real Advantage. In limited situations, a court may allow removal even if consent is not given if there is a real advantage for the removal and the court determines it’s in the best interest of the minor children. To remove a child out-of-state, you will need to either receive consent or have a court order justifying the removal. Consent can be difficult to obtain in contested case, and you should consider talking to a Lowell removal lawyer to review real advantage rights and to start gathering evidence to prove an advantage to moving your child out of state. Removal cases involving minor children are usually contested and rarely settled out-of-court. To learn more about a specific removal issue, talk to an experienced Lowell removal lawyer. Discuss your case with an attorney at the Law Office of Bruce A. Gage. You can reach a Lowell removal attorney by calling 978-961-0093.